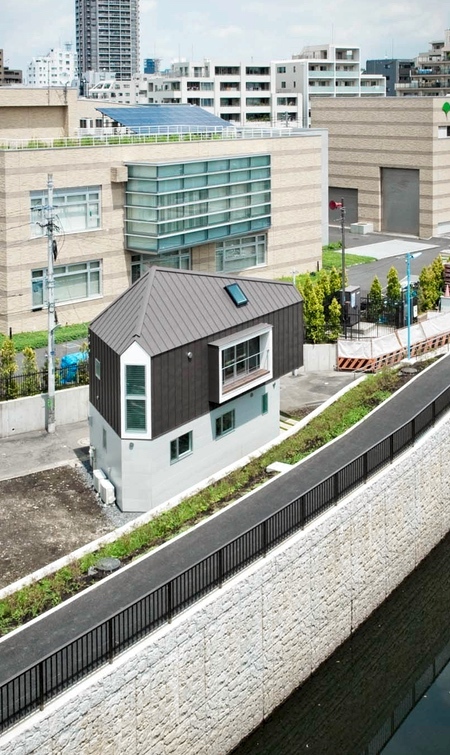 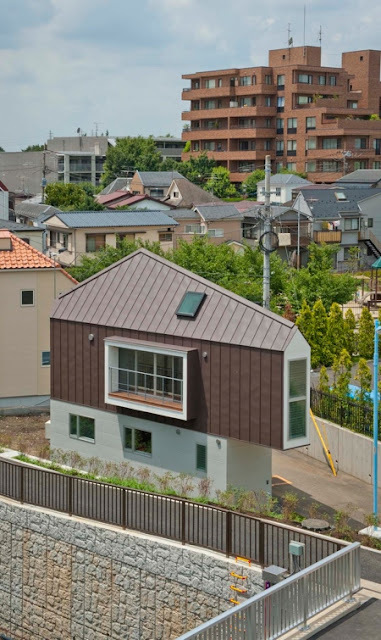 Triangular house constructed between a river and a road in Tokyo, Japan. 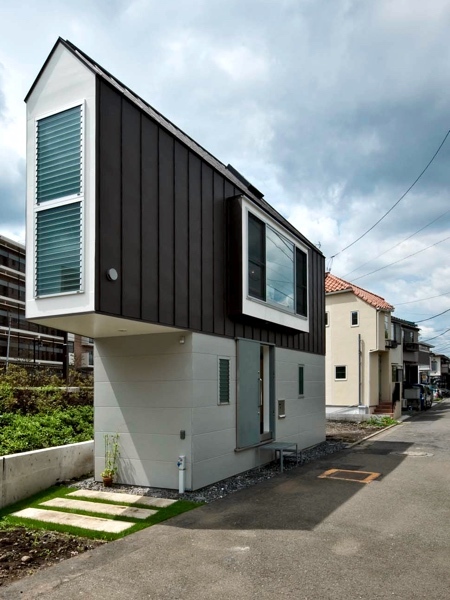 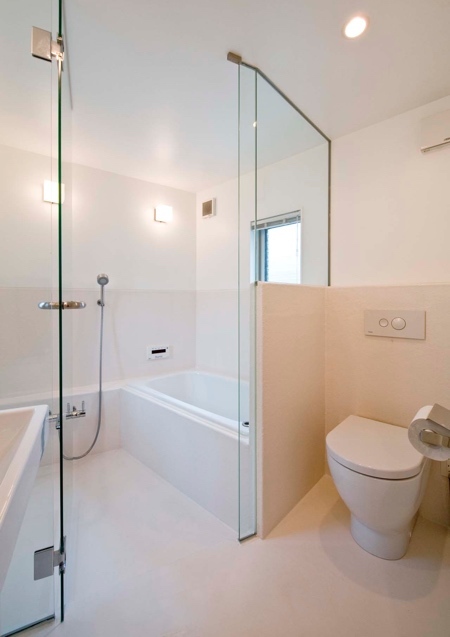 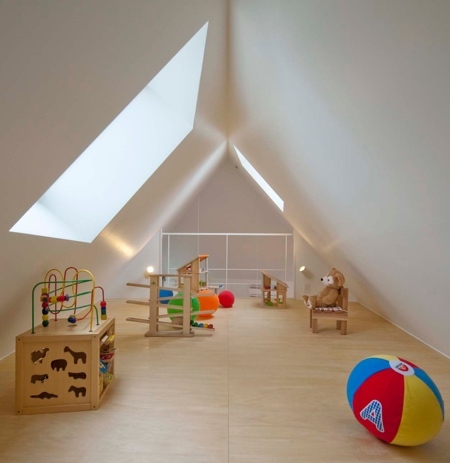 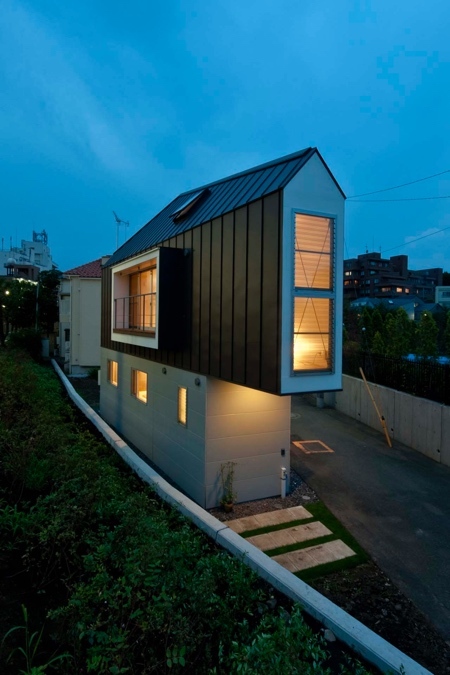 “House in Horinouchi” designed by Mizuishi Architect Atelier. 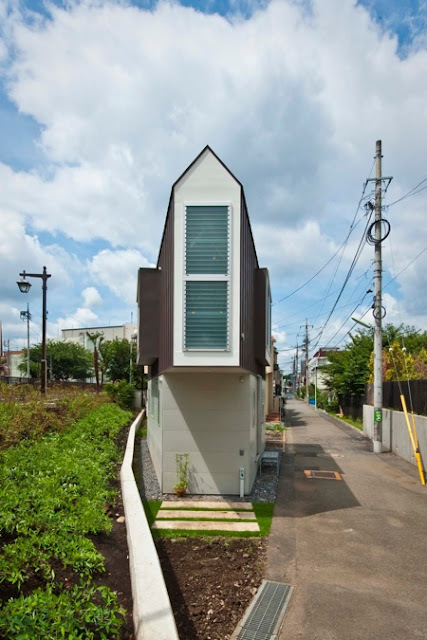 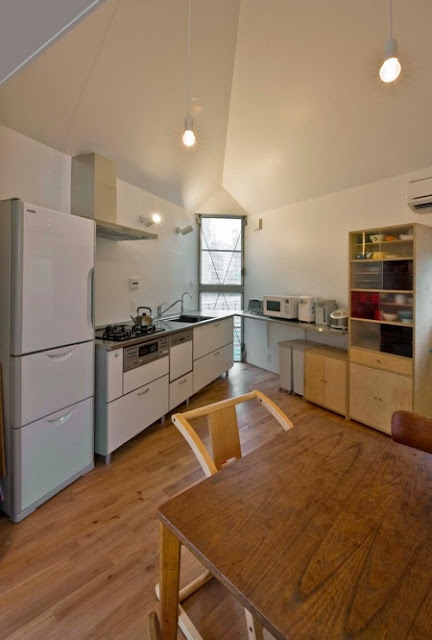 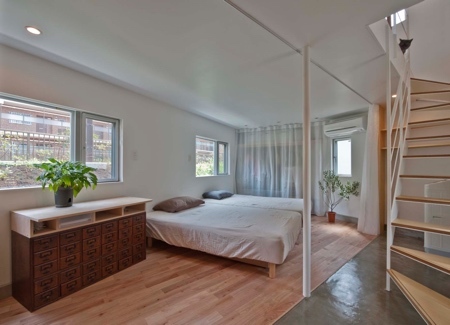 Modern architecture makes 600 square foot house feel much bigger than it is.